The Museum of Wellington City & Sea is located on Queens Wharf in the historic Wellington Harbour Board Office and Bond Store building on Jervois Quay. The building, which was built in 1892, was designed in French Second Empire style by architect Frederick de Jersey Clere. 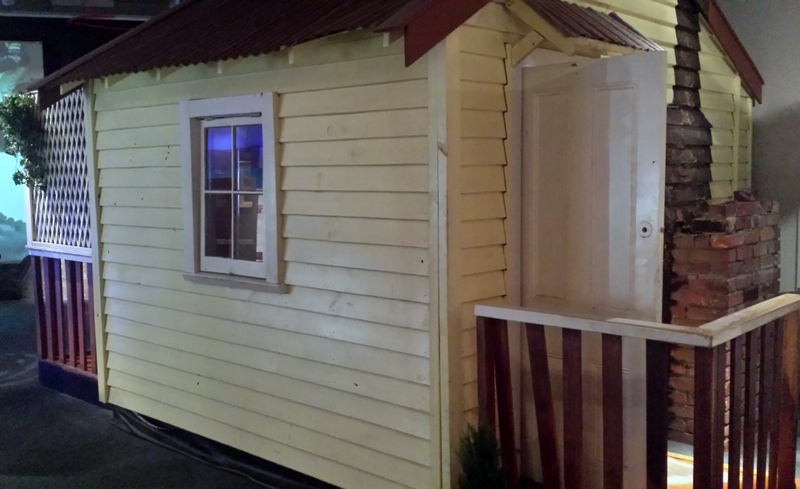 The museum got its start in 1972, when it opened as the Wellington Harbour Board Maritime Museum, housing the Harbour Board’s collection of artifacts and recounting Wellington’s maritime history. 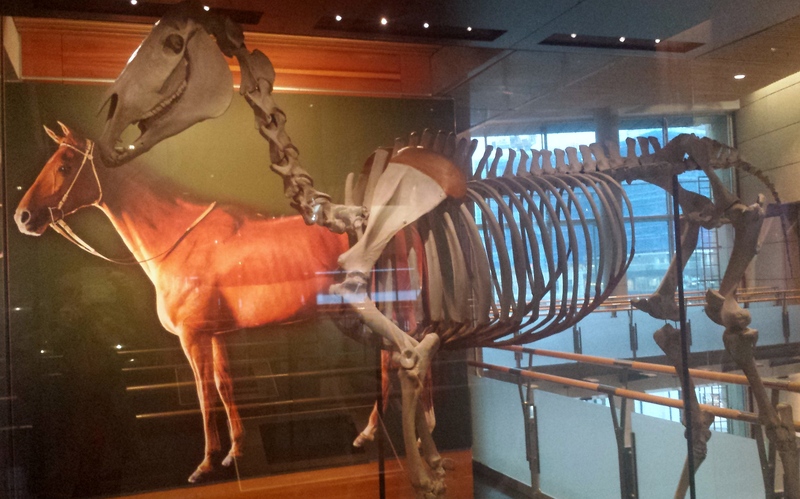 With the conclusion of the Harbour Board in 1989 the museum was transferred to Wellington City Council. 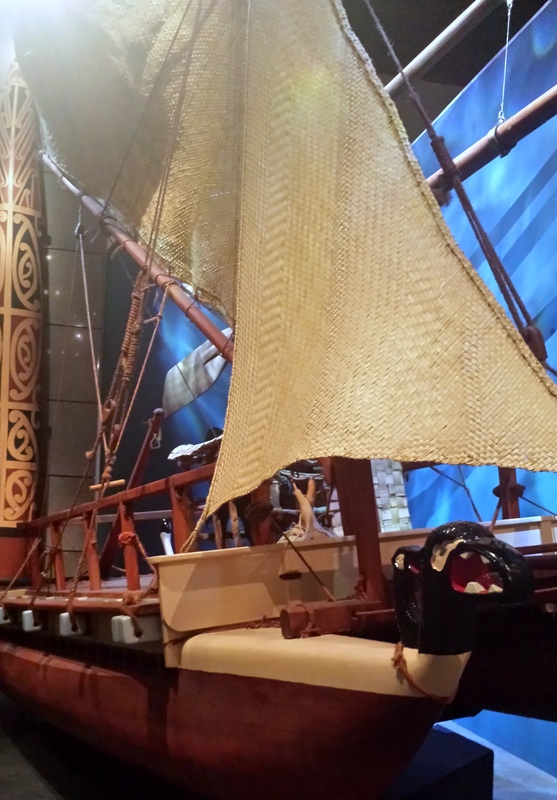 Following the creation of Te Papa, as New Zealand’s national museum, it was thought that a museum that focused specifically on Wellington’s local history was needed. 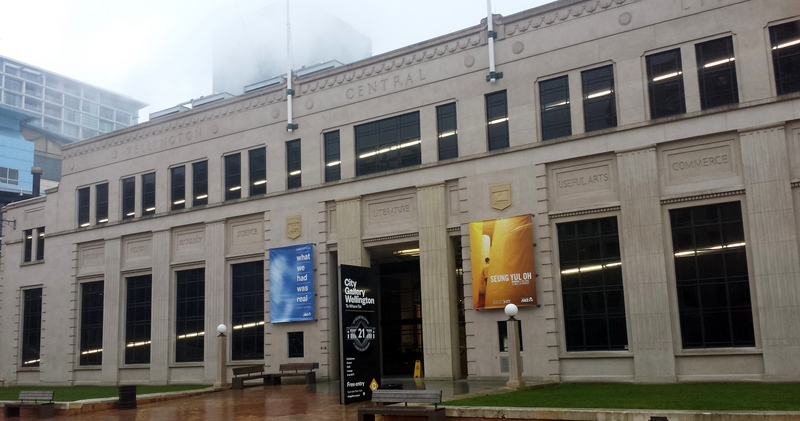 So in 1999, after an extensive restoration project, the maritime museum reopened as the Museum of Wellington City & Sea. The museum is open every day, except for Christmas Day, from 10am to 5pm. Entry is free. 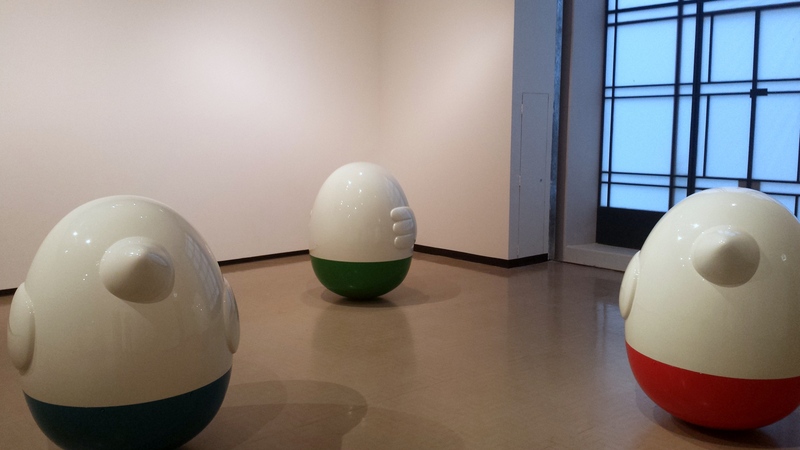 The museum is divided into three floors. In the Telling Tales exhibition on the ground floor visitors can follow a timeline of significant events of 20th century Wellington. 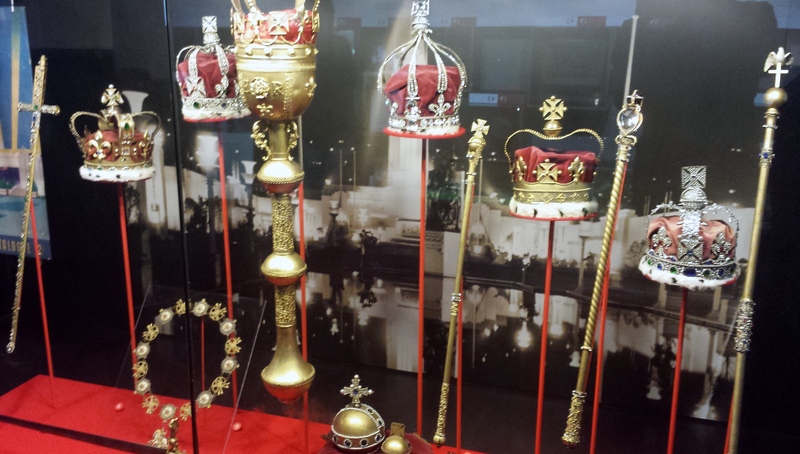 A highlight is the display of a replica of the crown jewels. 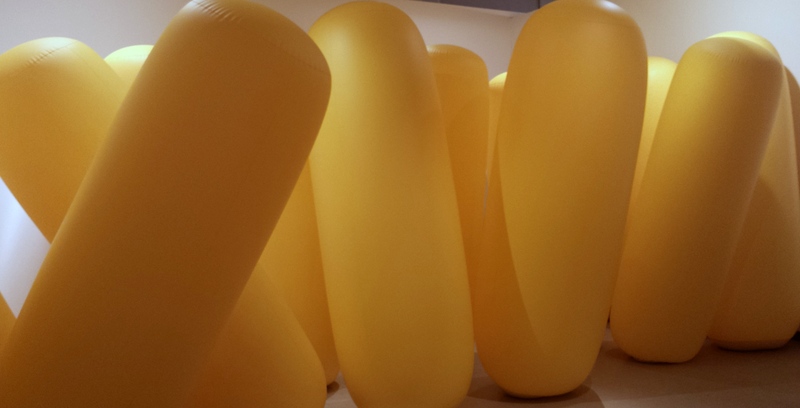 These were made for the 1939 Centennial Exhibition. 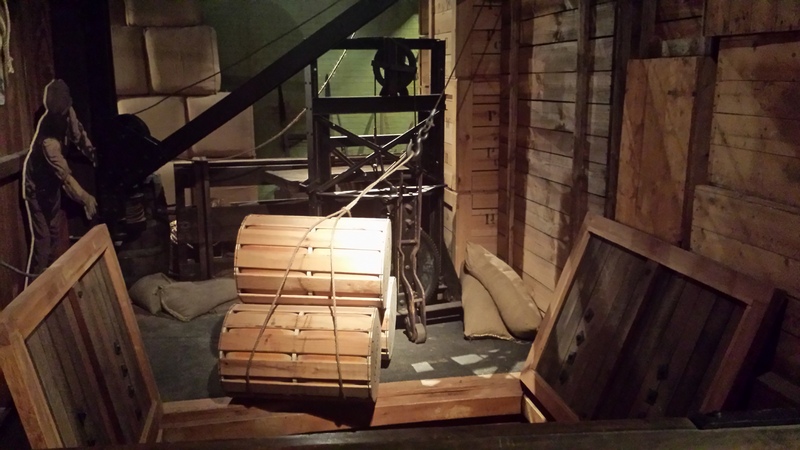 The first floor explores Wellington’s maritime history. 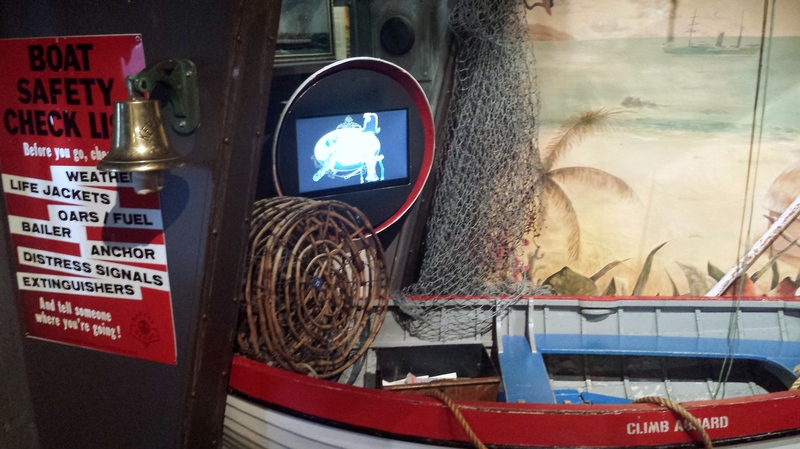 Children will enjoy Jack’s Boathouse, where they can climb aboard a dingy and man the helm of a ship. 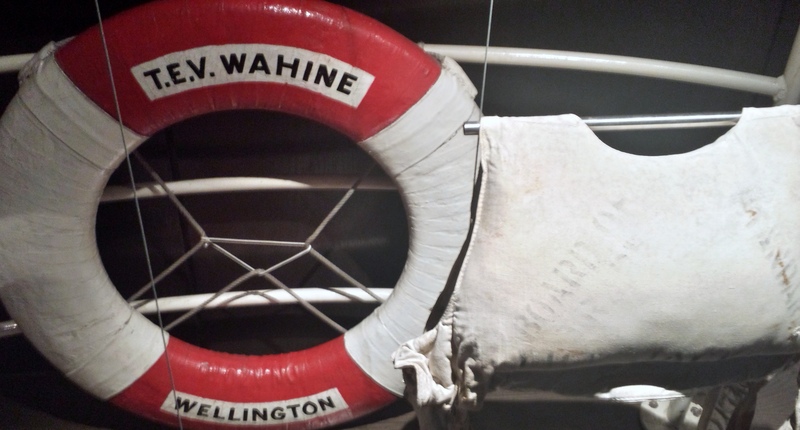 Also on the first floor is an exhibition dedicated the Wahine Disaster, in which 51 people died when the Lyttelton to Wellington interisland ferry sank in the entrance to Wellington harbour on April 10th 1968. A short documentary film with news footage from the day screens every 30 minutes. On the second floor visitors can learn more about Wellington’s early history and what life was life then. Also on the second floor is A Millennium Ago, a short film with hollographic effects that screens every 30 minutes. In the 12 minute film actor and broadcaster Joanna Paul tells the Māori legends of how a Taniwha created Wellington’s harbour and how Maui tricked his grandmother into giving him fire. 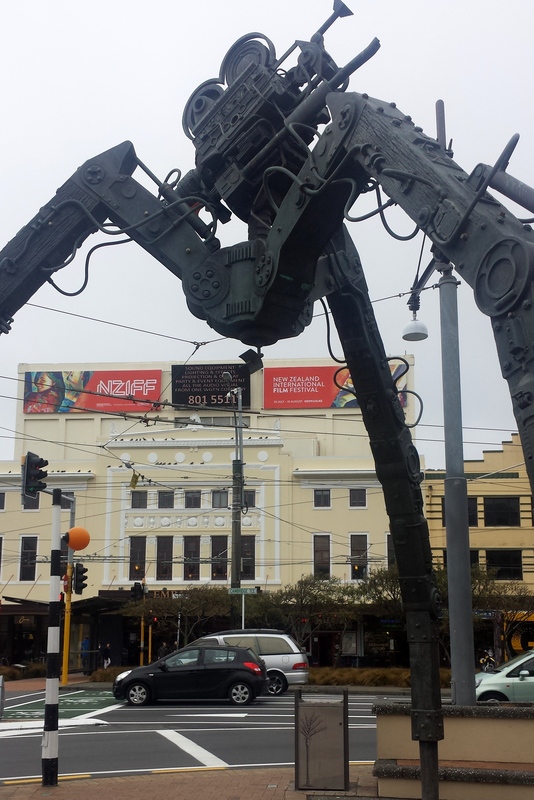 The Embassy Theatre is located at the eastern end of Courtenay Place on Kent Terrace. The theatre, which was originally called De Luxe was built in 1924. In 1945 its name was changed to The Embassy. It has been renovated several times over the years. The most recent was for the world premiere of Lord of the Rings: The Return of the King in 2003. 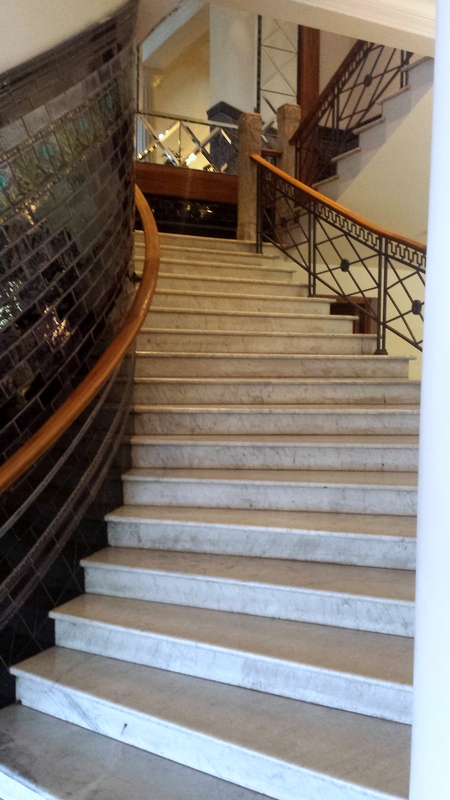 The building has an impressive interior that includes a marble staircase with tiled walls and floors. Even the bathrooms look impressive. There is also a snack bar and Blondini’s Cafe and Bar on the upper level overlooks Courtney Place. 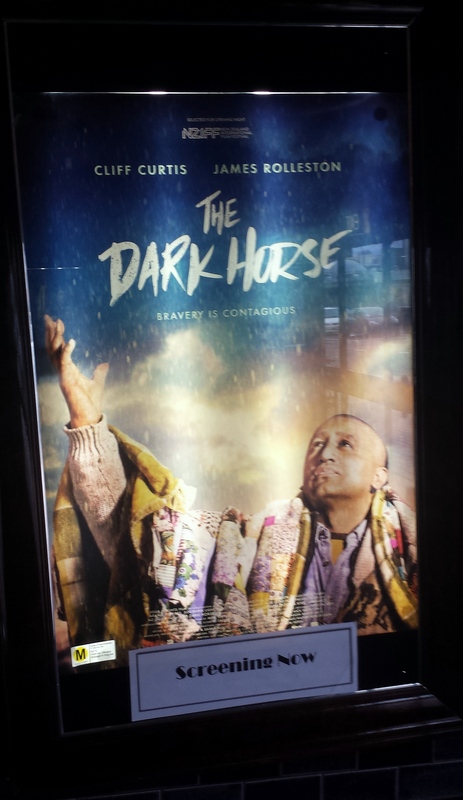 While the grey clouds outside turned to rain I watched James Napier Robertson’s second feature film The Dark Horse, starring Cliff Curtis and James Rolleston. 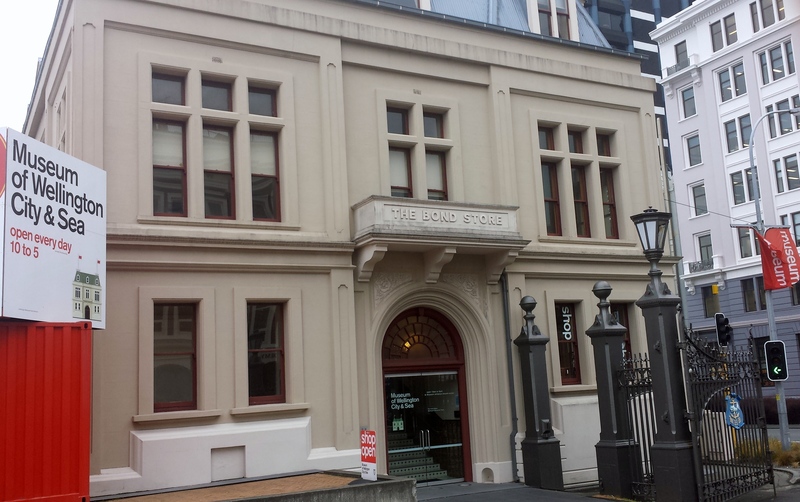 The Reserve Bank Museum, which is located on the ground floor of the Reserve Bank of New Zealand building examines New Zealand’s economic and banking history. 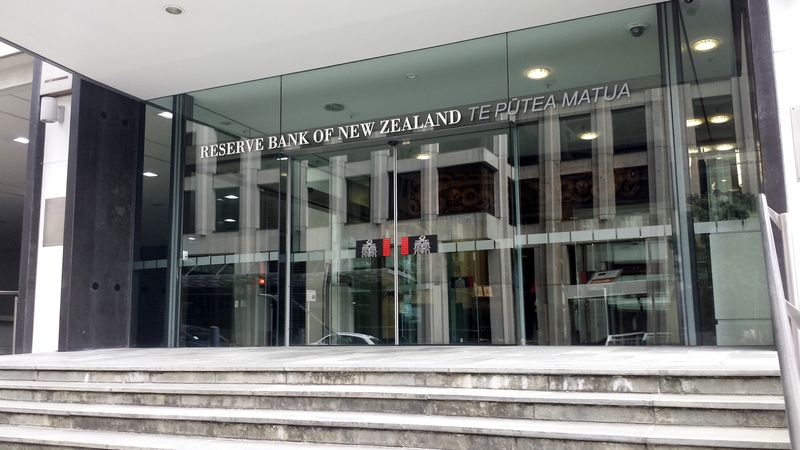 The Reserve Bank of New Zealand is located at number 2 The Terrace (corner of The Terrace and Bowen Street). 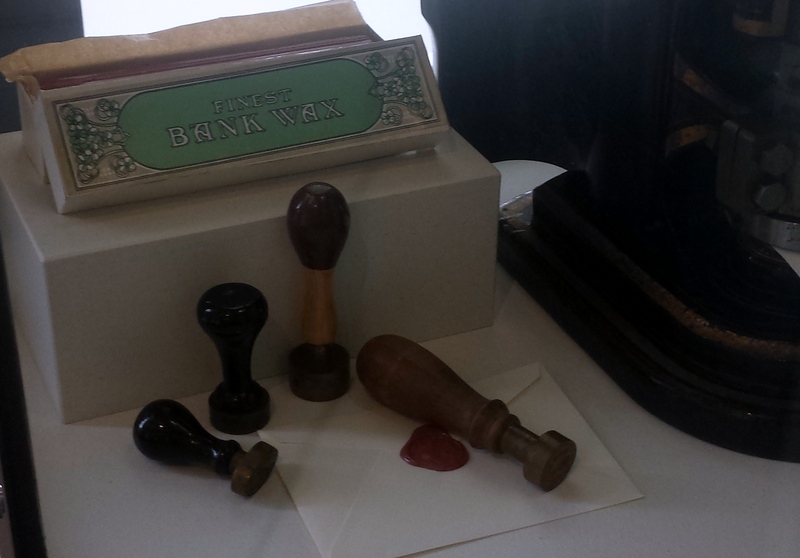 The Museum is open to Monday to Friday from 9.30am to 4pm. Over the summer months, January and February, the Museum is open on Saturdays from 9:30am to 4pm. 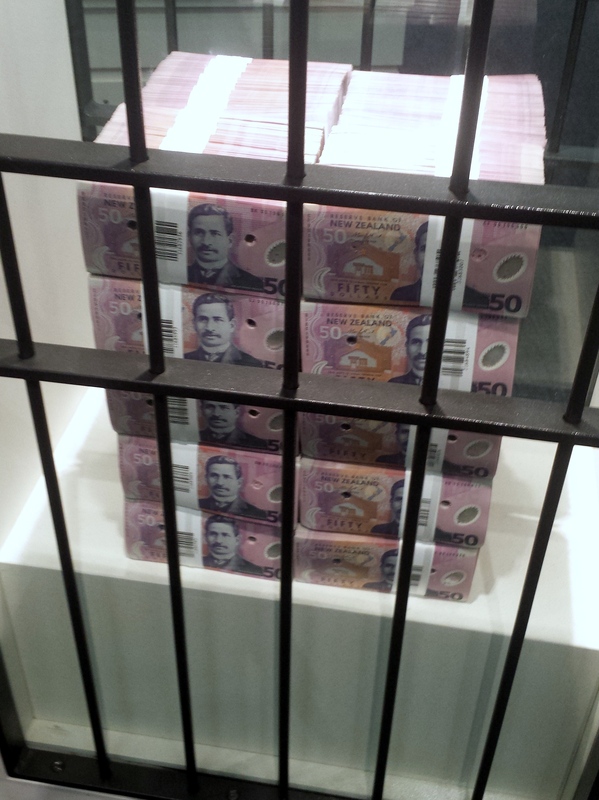 On display in the 130 sqm one room museum are a range of artefacts from Reserve Bank’s history including rare notes and coins. 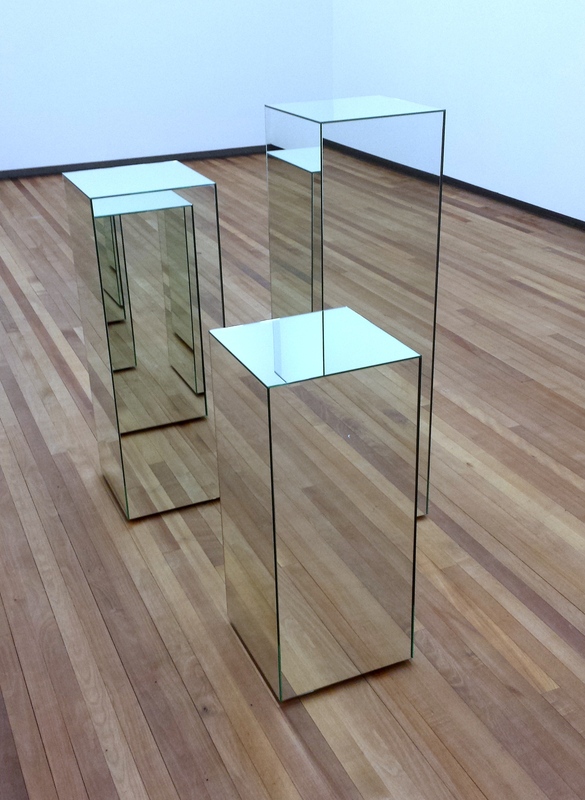 One of the most popular exhibits is the MONIAC (Monetary National Income Analogue Computer), an analogue computer invented by New Zealander Bill Phillips in the late 1940s. It is designed to calculate the effects of changes in the economy. 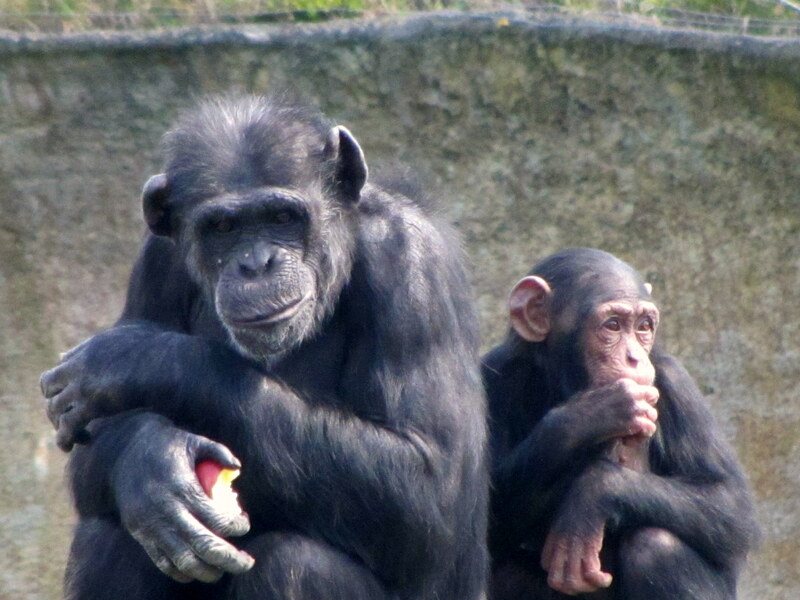 There are demonstrations on the first Wednesday of every month between 12:15 and 12:45pm. 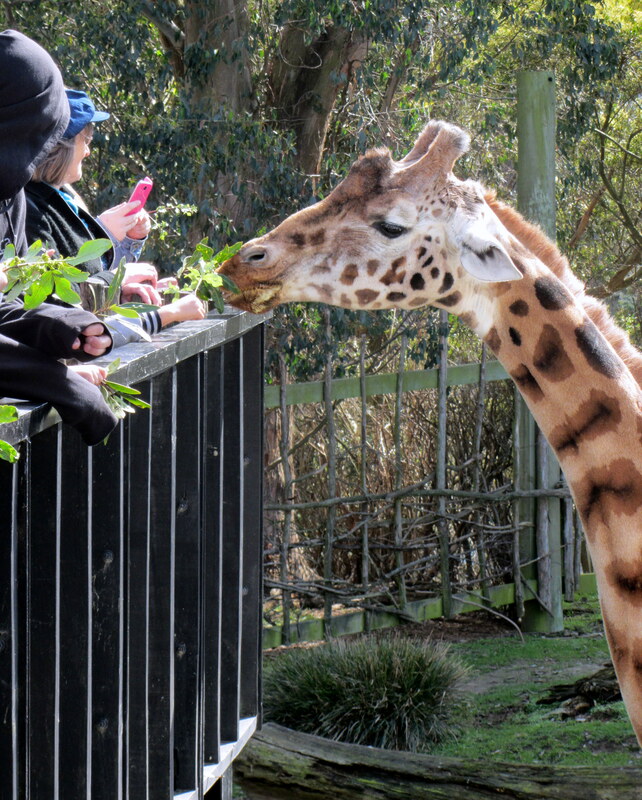 The Wellington Botanic Garden is 25 hectares of protected native forest, exotic trees, themed collections of plants and outdoor sculptures, located only minutes from downtown Wellington. 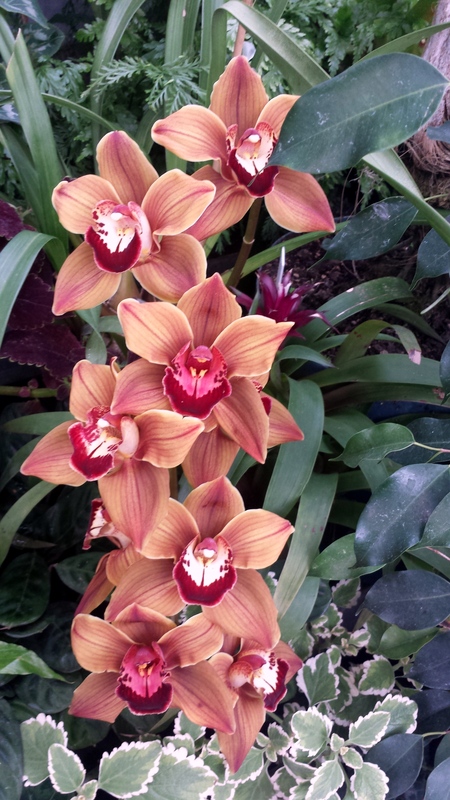 The Botanic Garden has a rich history. 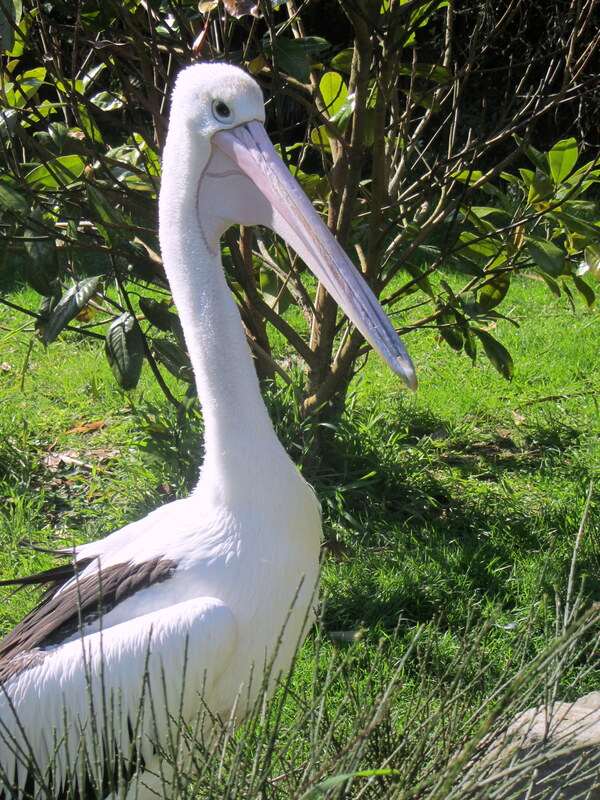 Back in 1844, The New Zealand Company set aside just over 5 hectares of land for the purpose of a botanic garden. 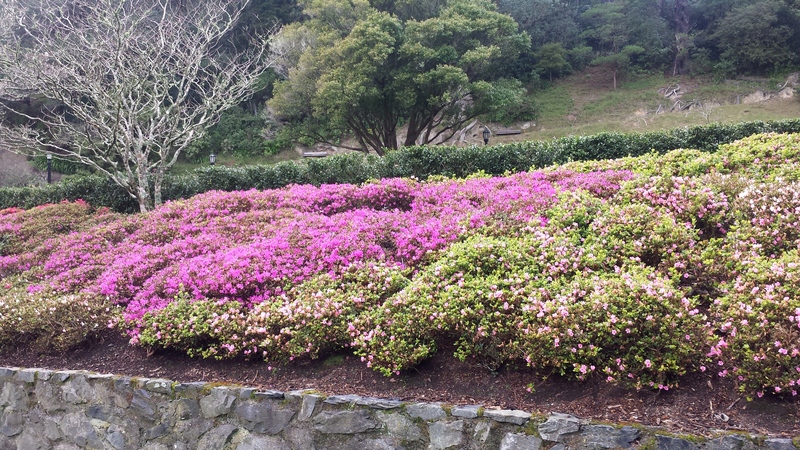 The Garden was established in 1868 and was managed by the New Zealand Institute. During 1870s another 20 hectares of land was added to the Garden. 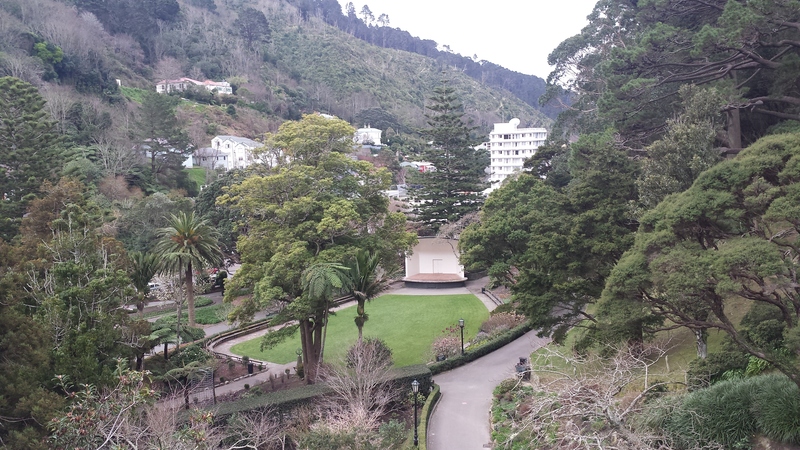 Since 1891, the Wellington City Council has managed the Garden. 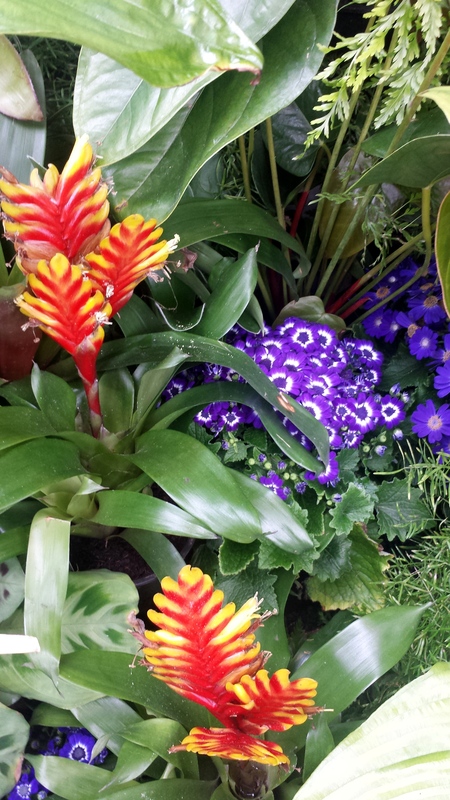 I visited the Garden via the Cable Car, from Lambton Quay. The No 3 Karori bus from Lambton Quay stops outside the Founders’ Entrance. The public carpark is adjacent to the Lady Norwood Rose Garden with vehicle access through the Centennial Entrance. Parking limit is two hours. After visiting Carter Observatory I walked down through the Australian Garden towards the Treehouse Visitor Centre. The Visitor Centre is open Monday to Friday from 9am to 4pm. 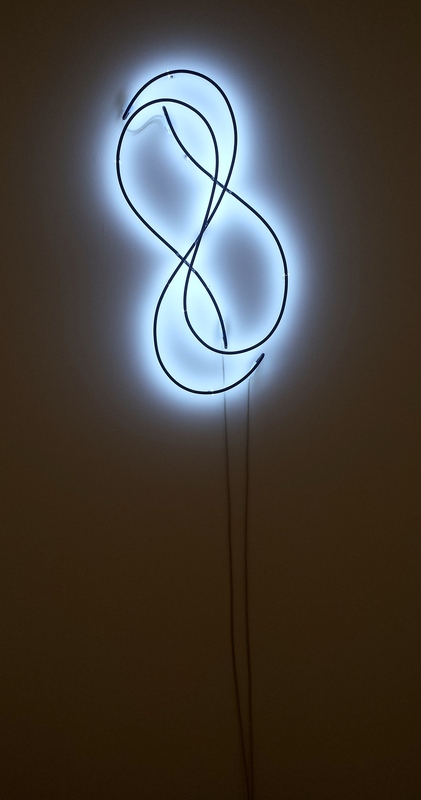 During the months of November to April it is also open on weekends from 10am to 3pm. There is a lift from the Treehouse which takes visitors to the Gardens below. This is operational when the Visitor Centre is open. From the Treehouse Visitor Centre I walked down through the scented garden to the duck pond, where mums and toddlers were feeding the ducks, before exiting through Founders’ Gates and reentering through the Centennial entrance and walking past Lady Norwood Rose Garden to the Begonia House. Being that it was winter when I visited garden staff were busy in the rose garden preparing for the flowering season that begins around November. There are 110 rose beds set out geometric design with columns on three sides. 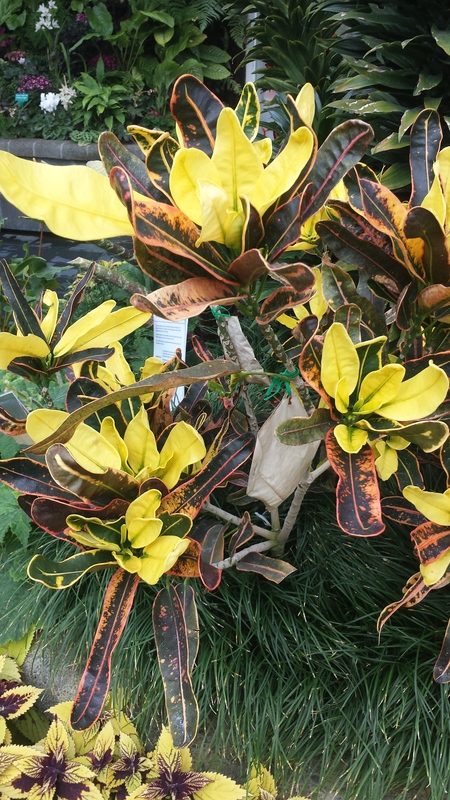 The Begonia House, a Victorian style glasshouse, contains tropical temperature displays all year round, allowing visitors to enjoy colour during the winter months. 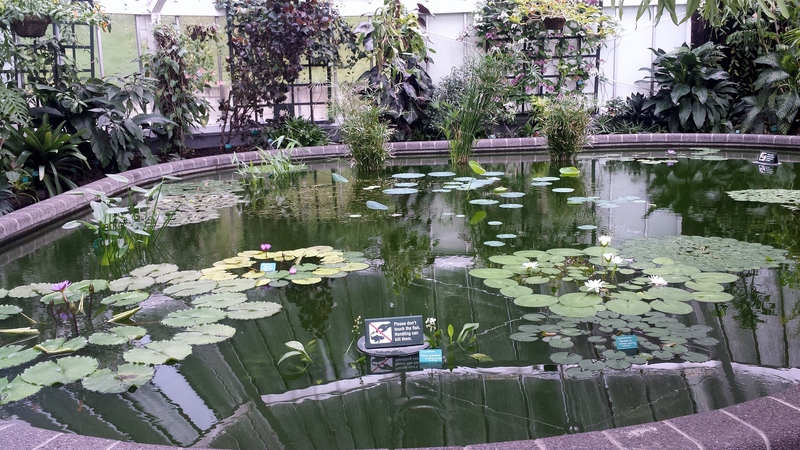 Also at the tropical end there is a large lily pond. 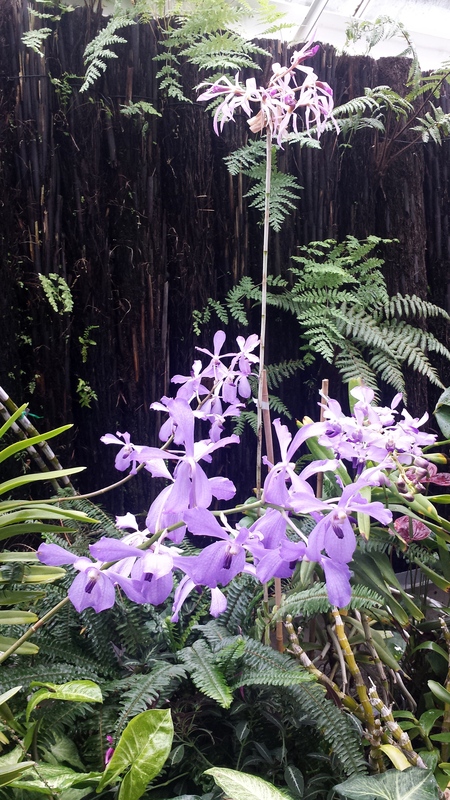 Also located in Begonia House is the Garden Shop and Picnic cafe. The Garden Shop is open daily from 9am to 5pm, October to March and from April to September the House is opened 9am to 4pm Monday to Friday (closed Tuesday), and 10am to 3pm weekends. The cafe is open every day, except Christmas Day, from 8:30am to 4pm. After exploring the Garden, I walked through Bolton Street Memorial Park back to the city. 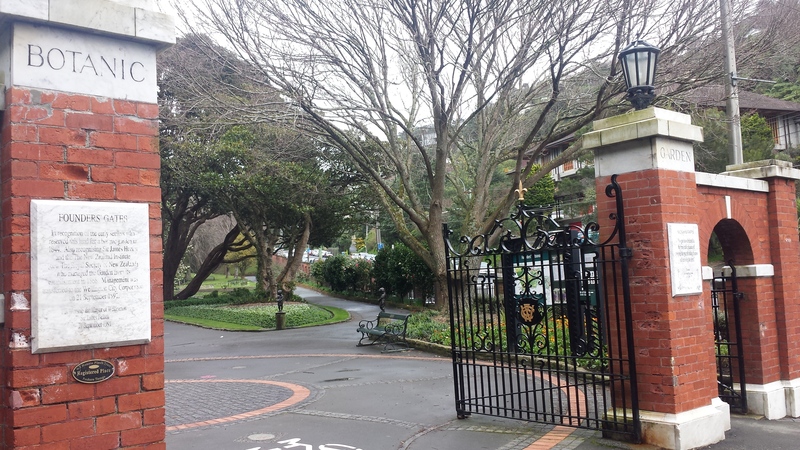 Bolton Street Memorial Park is home to Wellington’s eldest cemetery dating back to 1840. 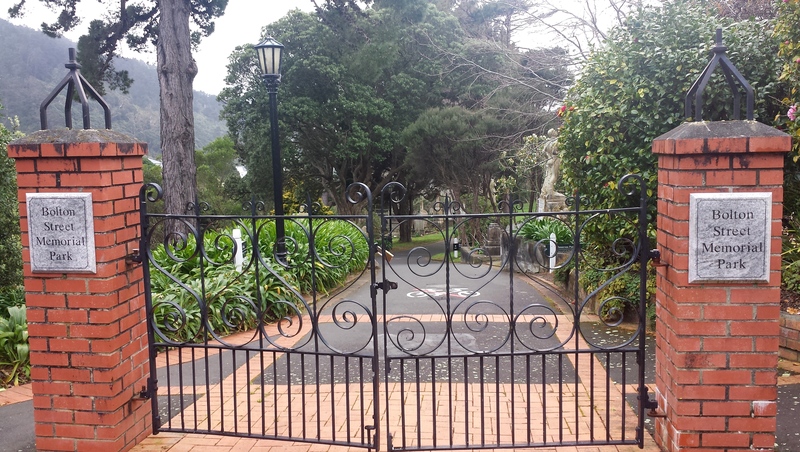 The cemetery closed to burials in 1892, except for burials in family plots, and the cemetery was transferred to Wellington City Council. The cemetery closed between 1968 and 1971, when part of Wellington’s motorway was built through a section of the cemetery. During this period, 3,700 burials were exhumed and relocated. 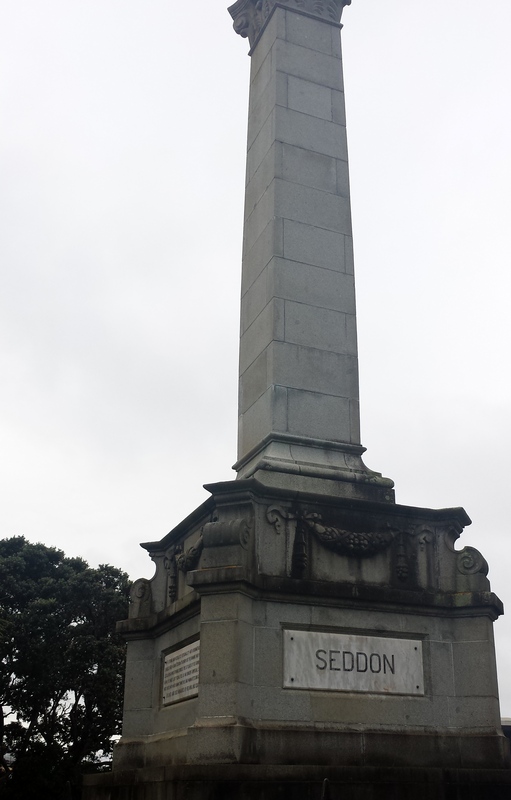 New Zealand’s longest serving Prime Minster Richard John Seddon is buried in Bolton Street Memorial Park. His grave is marked by a large monument. A statue of Seddon stands outside Parliament Buildings.